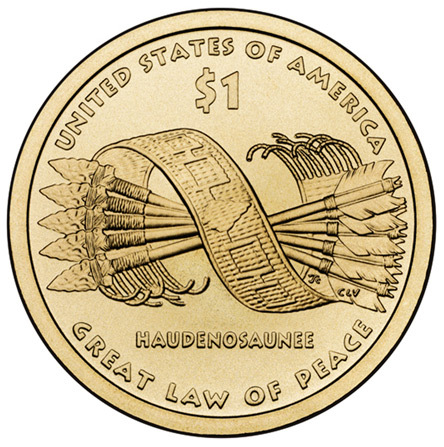 In 2010, the U.S. Mint issued its Native American $1 Coin, with a reverse design featuring an image of the Hiawatha Belt with 5 arrows bound together, along with the inscriptions UNITED STATES OF AMERICA, $1, HAUDENOSAUNEE and GREAT LAW OF PEACE. (Haudenosaunee means “People of the Longhouse.”) This coin honors the Iroquois Confederacy, its unity and its highly-developed civilization – and it honors, by extension, the teachings of the Iroquois prophet Deganawida. Deganawida is a legend, not a myth. A legend forms around a historical core of facts. 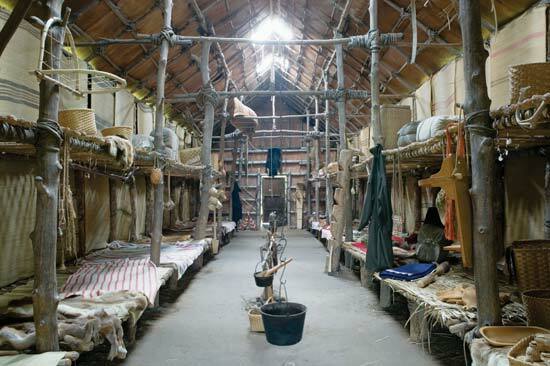 The fullest account of Deganawida and Hiawatha (the former cannibal whom Deganawida converted) is Concerning the League: The Iroquois League Tradition as Dictated in Onondaga by John Arthur Gibson, translated by Hanni Woodbury (1992). Deganawida and Hiawatha established the Iroquois Confederacy. Consider this statement from a Scientific American article on the Confederacy: “Five tribes of the Iroquois confederacy were, from west to east, the Senecas, the Cayugas, the Onondagas, the Oneidas and the Mohawks. At the beginning of the 18th century their power extended from Maine to Illinois and from southern Ontario to Tennessee. The Tuscaroras became the sixth after being ousted by white settlers in the Carolinas.” – James A. Tuck, “The Iroquois Confederacy,” Scientific American, Vol. 224, No. 2 (February 1971), pp. 32–42 . According to the Haudenosaunee Guide for Educators, published by the National Museum of the American Indian, The Peacemaker Story, which explains how the Confederacy came into being, is “the civic and social code of ethics that guides the way” for the Iroquois. You shall be a good person, and, especially, you shall be kind to all of the people, not differentiating among them, the people who are wealthy, and the poor ones, and the good natured ones, and the evil ones who sin readily; all of them you shall treat kindly, and you shall not differentiate among them. And as to your own fireside, never consider only yourself, you must always remember them, the old people, and the younger people, and the children, and those still in the earth, yet unborn, and always you will take into account everyone’s well being, that of the ongoing families, so that they may continue to survive, your grandchildren.” – Deganawida, Concerning the League, pp. 698–700. “As to you, they have chosen you to work on the Great Law of Peace. This is your name, this is what they will call you: Shakokehe,’ which means, your name, that you will treat them all equally, the people of this group, and you will give them the Good Message which they will accept, and that is what will save them from trouble.” Thereupon Deganawida said, “As to you, indeed, they have chosen you to help with the League, and this is your name, this is what they will call you: Sahawi, which means it is your work now that all of the families will be established as a single house, to see that one will use it to live by, the power which will be functioning for peace. – Deganawida, Concerning the League, pp. 370–372. Here, Deganawida admonishes the leaders of the Iroquois Confederacy, who were typically among the rich and powerful. Moreover, at present it is young as the day is when the sun is rising and lights up the earth; just as it causes warmth all over the earth for all the people, we will help the people of every nation. And just as all of the many things grow on earth and sustain the people, the newly arriving Great Law will come to shed light on the minds of the people, the elders and the younger people, everybody, even the children, and this is what you will work at: everyone shall become related to one another, so that it will become a single-family consisting of every tribe; and they will be kind to one another, all of the people; and this is what will unite them: the Good Message, and the Power, and the Peace. – Deganawida, Concerning the League, pp. 127–129. All Lords of the Five Nations Confederacy must be honest in all things. They must not idle or gossip, but be men possessing those honorable qualities that make true royaneh. [Literally, “Noble,” i.e. Lord or Chief. – CB] – Deganawida, in Arthur C. Parker, The Constitution of the Five Nations or the Iroquois Book of the Great Law, p. 38. These two Peacemakers, Deganawida and Baha’u’llah, brought universal ethical teachings to humanity. 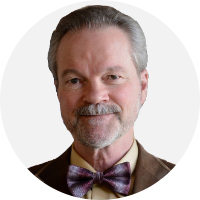 Although their social laws are attuned to the requirements of the respective historical settings in which they lived, their ethical teachings coexist in splendid, reciprocal harmony. Like a laser, their lights intensify each other. We gather our minds to greet and thank the enlightened Teachers who have come to help throughout the ages. When we forget how to live in harmony, they remind us of the way we were instructed to live as people. With one mind, we send greetings and thanks to these caring Teachers. Now our minds are one. – Qtd. in Haudenosaunee Guide for Educators, Preface.